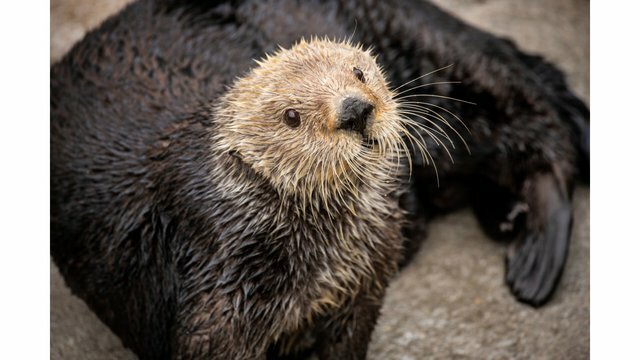 The Monterey Bay Aquarium is mourning the loss of its beloved resident sea otter, Gidget, who died over the weekend after a sudden decline in her health. Ten-year-old Gidget had been a part of the Aquarium family since 2013, and in that time she helped raise four stranded pups. She retired from those duties because of an advancing arthritic condition, but her work for her species never slowed down. Gidget was the basis of the first complete Southern sea otter genome, sequenced by researchers at UCLA a few years ago, that will contribute to ongoing sea otter recovery. Known for her love of diving head-first into buckets and piles of ice, Gidget found a place in the hearts of millions of visitors and fans of the sea otter cam over the past six years. “Gidget touched millions of people with her beauty, charm, and an exuberance of mischief,” said Aquarium veterinarian Dr. Mike Murray. “She is an example of why we do what we do, for the animals in our care and for their wild kin.” Her legacy lives on in the orphaned pups she helped rear as a part of our Sea Otter Program with our five other resident sea otters, Rosa, Abby, Kit, Ivy and Selka, and as the face of the sea otter genome. I (Miro) got to see Gidget happily swimming and munching on clams several times at the aquarium and would often watch her on the MBA’s otter cam whenever I needed a midday pick-me-up of some otter nonsense. She’ll be sorely missed!